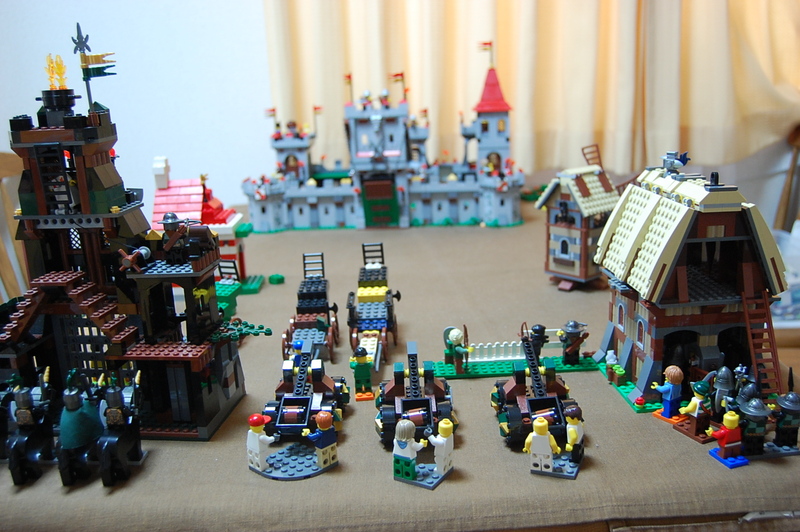 In this scenario, the Lego Red Lion Knights castle fell to the Green Dragon Knights. The assault was presided over by one of the daughters of Bellona who can be seen lowering over the battlefield in one photo… just to prove I do not play these games entirely alone!! The daughter of Bellona, Goddess of War (and bread rolls). 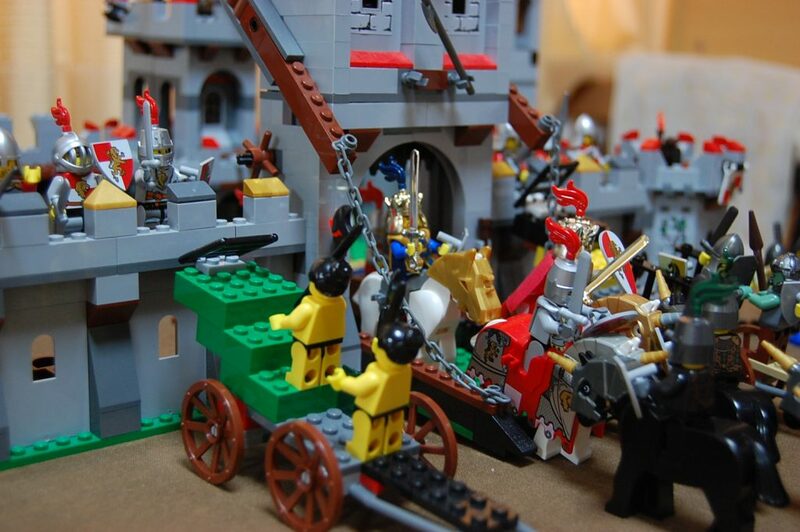 Although the siege wagons were rather more primitive than the siege engine we built for some of last season’s later scenarios, they proved effective in delivering the besiegers to the battlements in spite of the difficulties of bringing them up to the walls in the face of the Red lion crossbowmen. 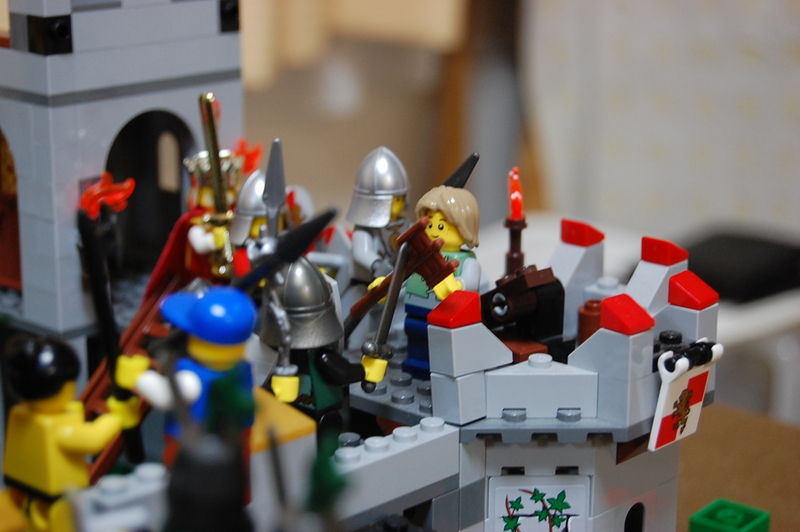 The Lego Red Lion Knights had the better of the early exchanges of ordnance, but they were gradually cleared from the battlements and then the Green Dragons’ superiority of numbers began to tell. 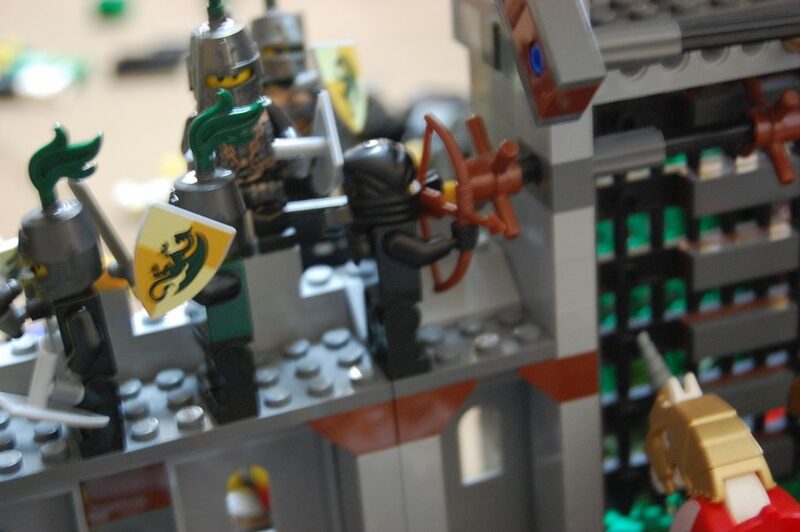 The mounted Red Lion knights sallied out of the castle, but their attack was contained by the Green Dragon cavalry, even as the infantry scaled the battlements. The peasant levee who had been responsible for bringing up the Green Dragon siege-engines and shooting the catapults grabbed fallen swords and shields and joined the last wave of the assault. 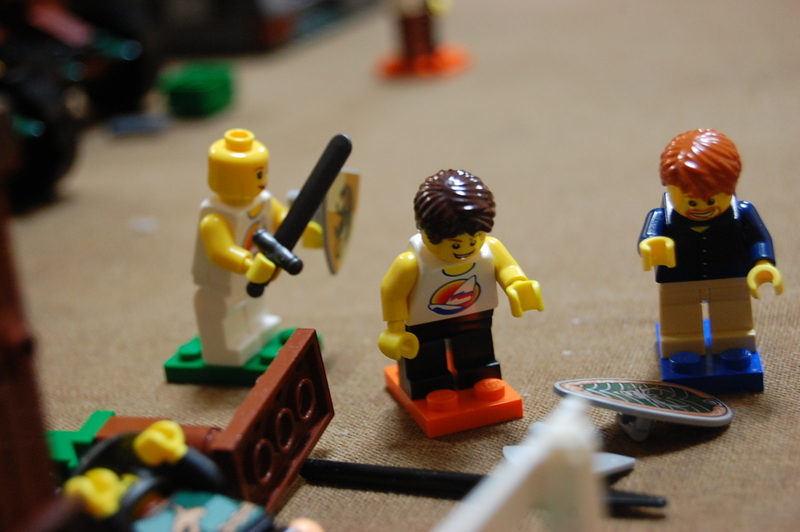 The final shot of the scenario was by a Ninja archer fighting with the Green Dragons, who joined the assault of the battlements and shot the Red Lion Knights’ King to bring the siege to a successful conclusion. 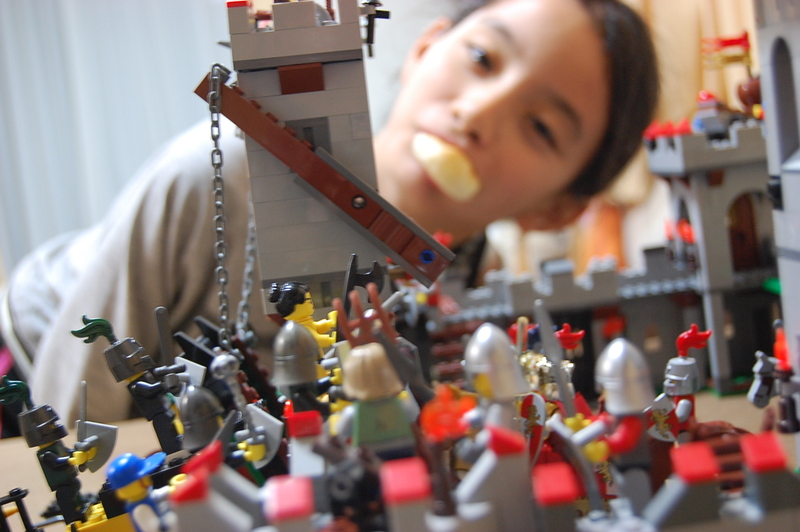 Lego Red Lion Knights and Green Dragon Knights are part of the Lego Kingdoms series, available on Amazon.com.